The Scandia Propeller Shop, located at the corner of Union and Water St.s continues it's valued role machining propellers for the Greater New Bedford fishing fleet., as well as private craft of all sizes. 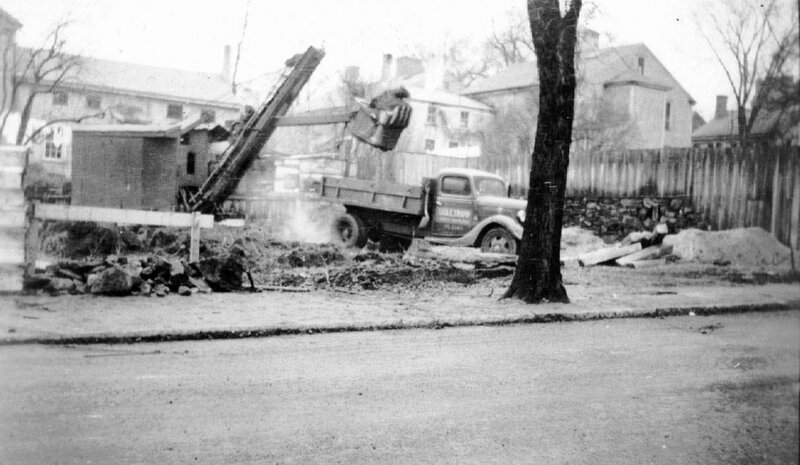 But it all started with recycled building materials from a demolished factory in New Bedford's South End and the construction began for "M.D. 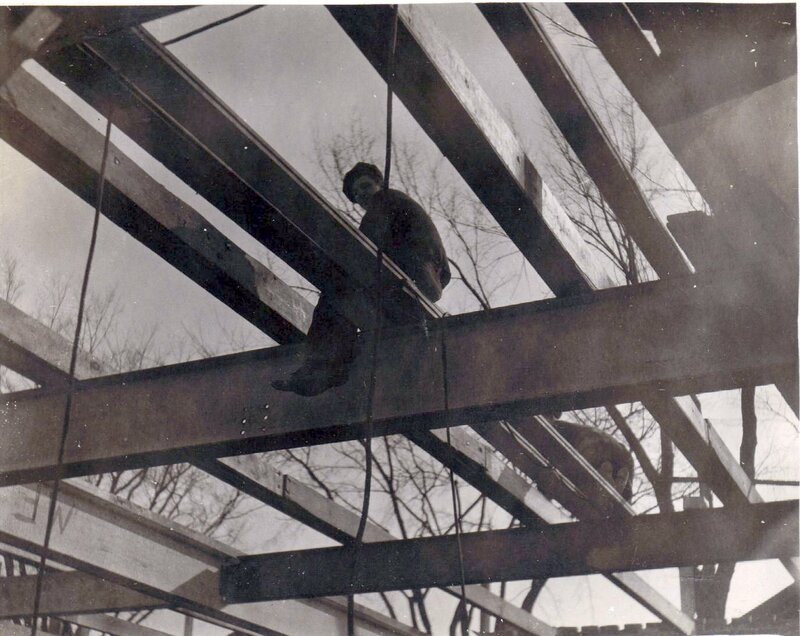 Thompson Propeller Adjuster" on December 17, 1937. 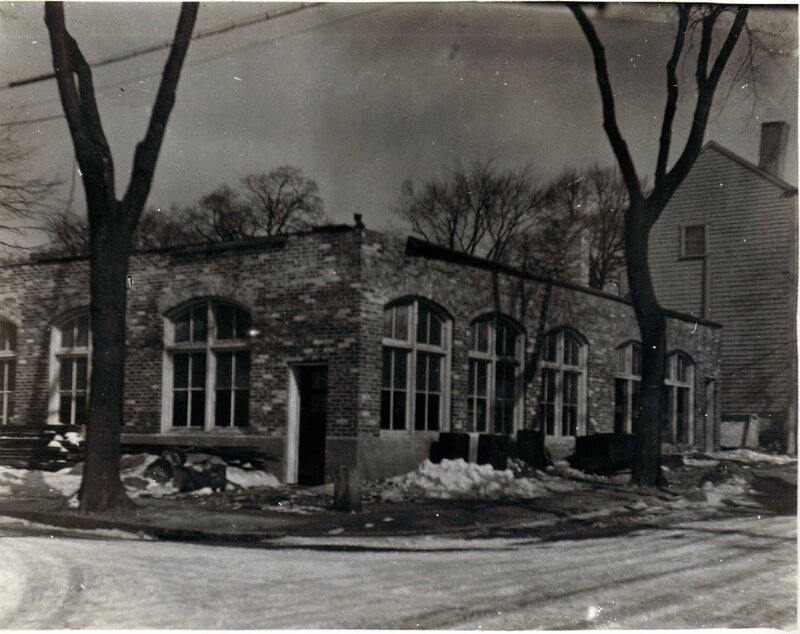 The familiar 1-story brick building of Scandia Propeller Service located at the corner of Union and Water St., was once known as " M.D. Thompson Propeller Adjuster". 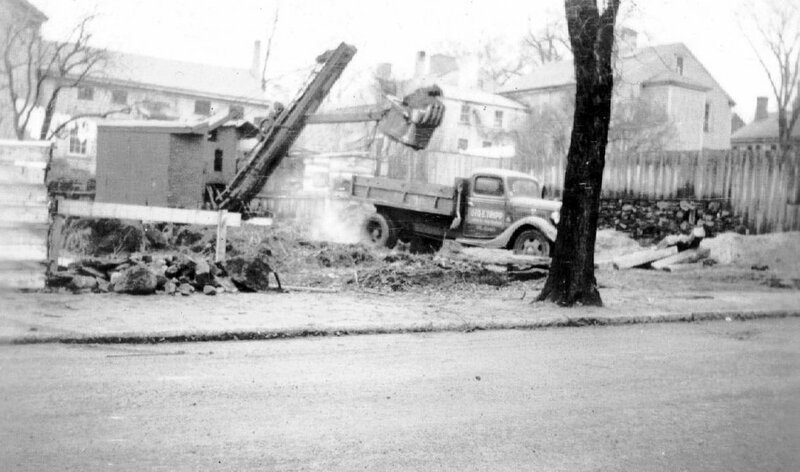 It stands as strong and sturdy today as it did since its construction in 1937, and all from demolition materials. The bricks, steel girders, and window frames were from the remains of a factory that was torn down in New Bedford’s South End. 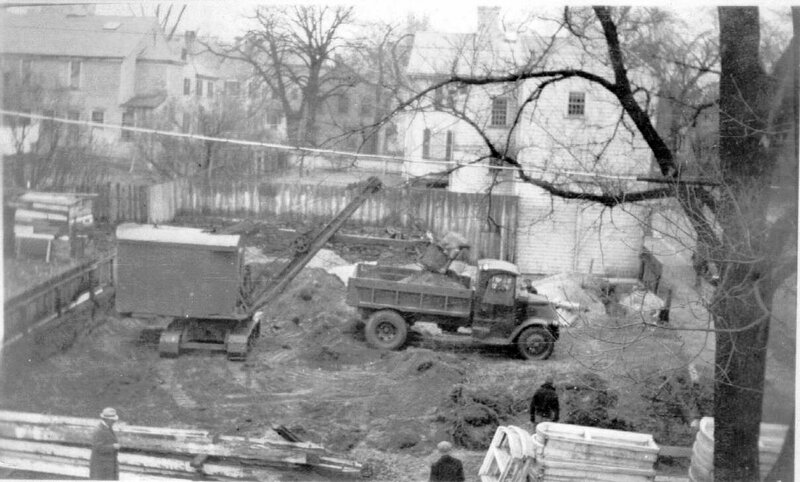 Even before the new construction, M.D. 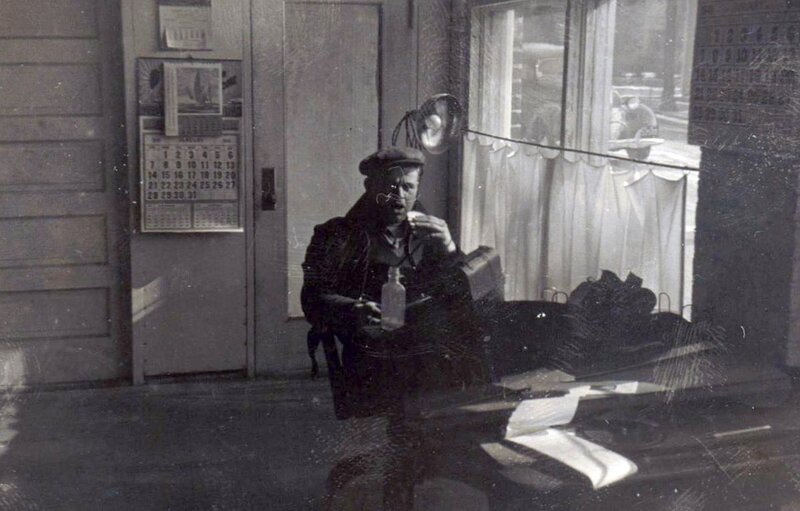 Thompson was already a well known Fairhaven waterfront fixture in the important propeller repair business. 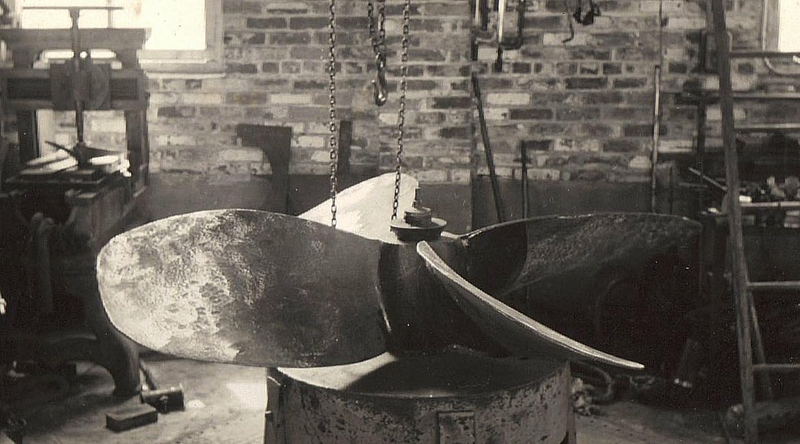 The Thompson brothers carried on the tradition of their father, M.D.Thompson from Maine, who designed the "Thompson Feathering Propeller" around the turn of the century. It was a revolutionary new idea. 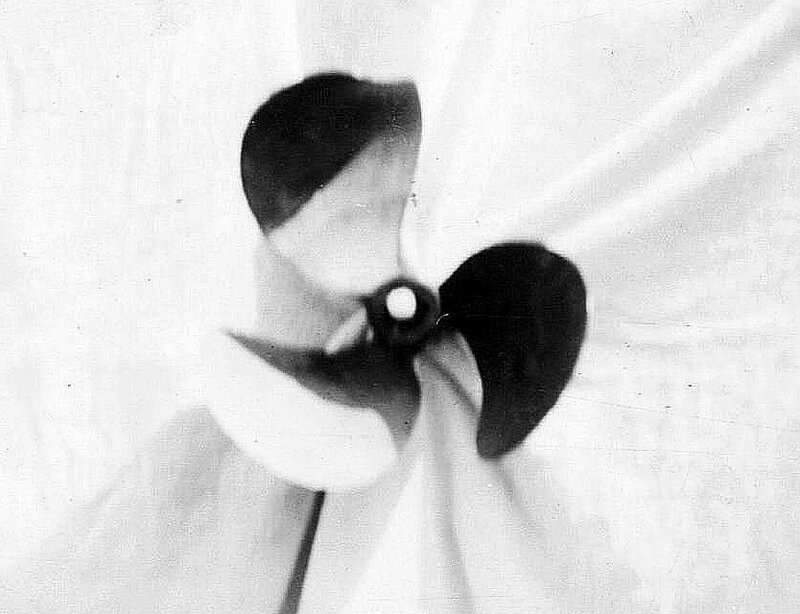 The feathering propeller changed its pitch via hinged blades. When the engine clutched into forward or reverse, the jolt automatically switched the blades into place. As the demand for the machine shop grew the business had the need to expand. 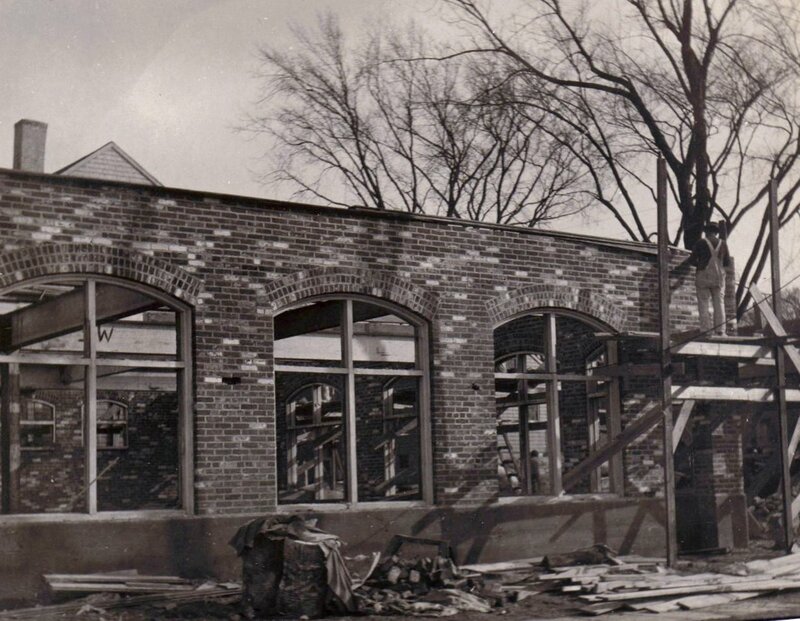 The brothers acquired a lot on the northeast corner of Union and Water St. With the help of employees and friends they built the brick structure from the ground up with the recycled remains of what was likely the Kilburn Mill. 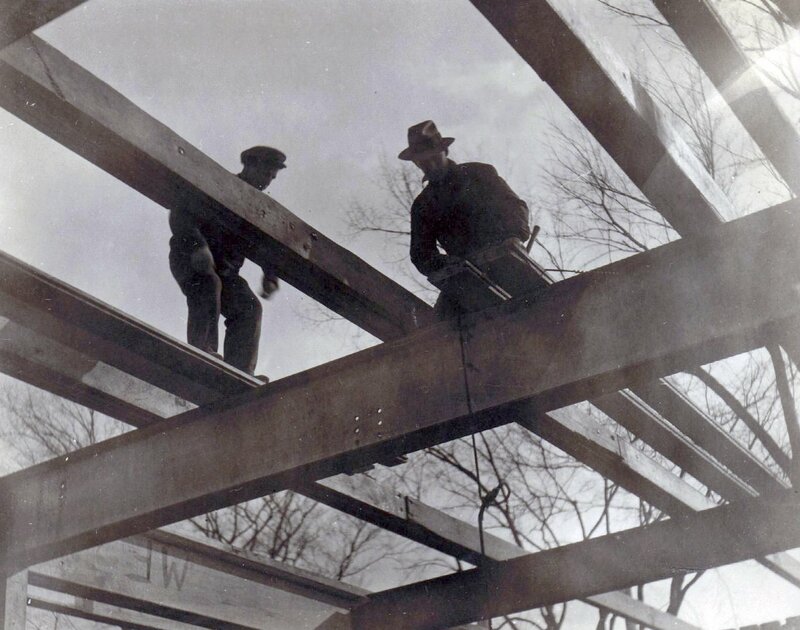 The project was completed in December of 1937. 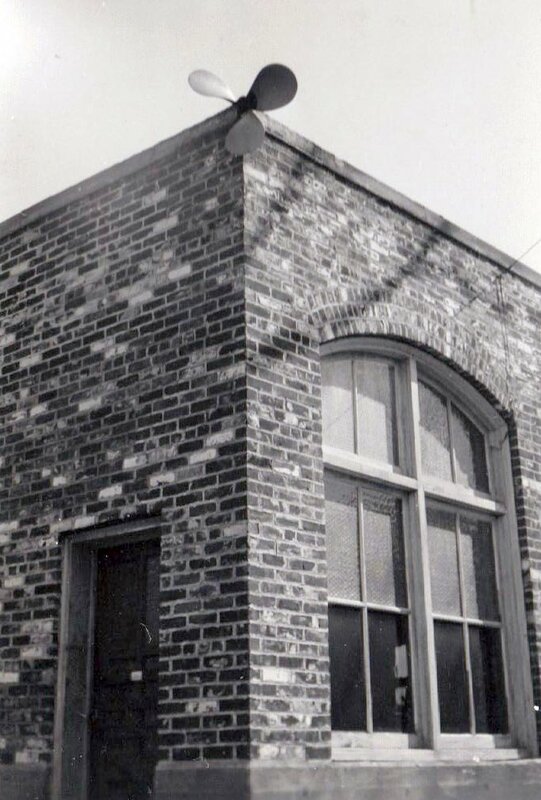 A brass propeller was mounted on the upper corner of the building. 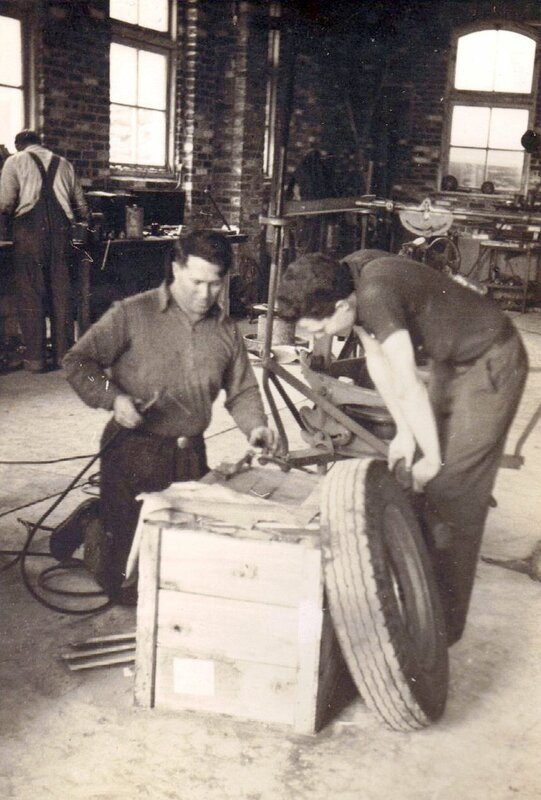 In 1961, Warren Thompson (above) decided to retire and sold the business to Gunnar Gundersen, an engineer from Norway who still runs the shop today as Scandia Propeller. The famous Fairhaven waterfront icon - a shiny brass propeller still spins away on the top corner of the building at Union and Water Streets. FYI-When the Atlas Tack was finally torn down in 2008, parts of that building were salvaged too. The structure's high-quality bricks were carefully crated up and recycled. The current market for a good brick is about $1.00 each. 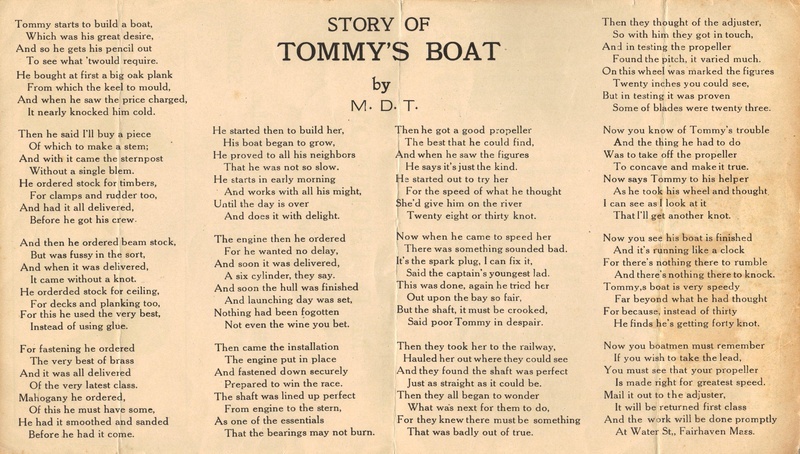 The Story of Tommy's Boat, authored by The Thompson brother's dad, who started the business in Maine. These sturdy window frames being set in place. A handsome new building with a small sail boat out front. It's hard to believe that his structure was completely built of demolision material from a factory in New Bedford. 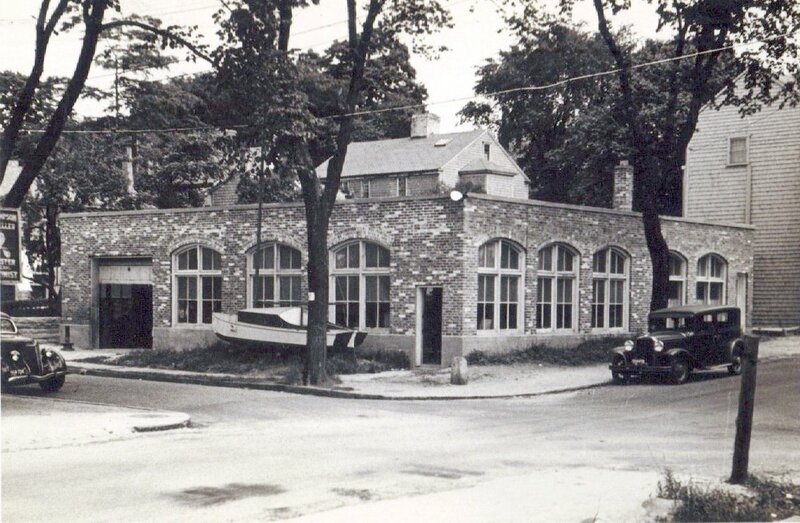 The factory was very likely the Kilburn Mill torn down right around the time this was constructed. 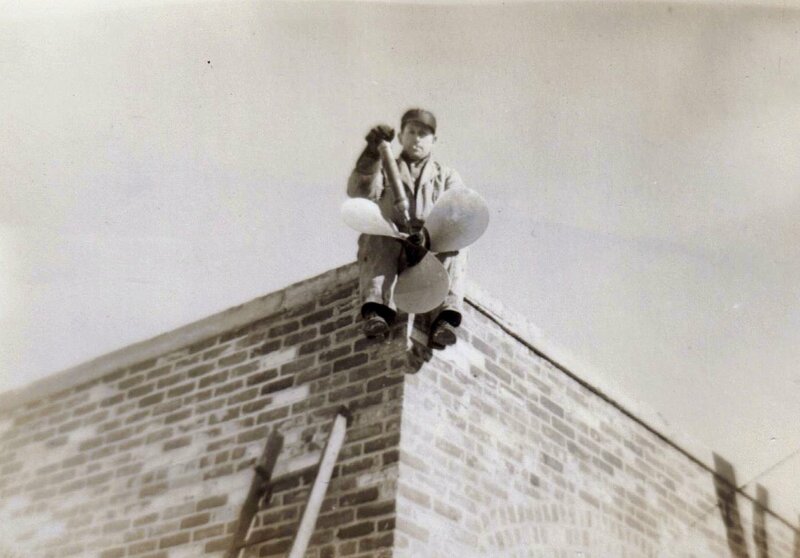 Warren Thompson (above) installs the famous shiny brass propeller on the corner of his new shop. It was said that the spinning prop could be seen shining across the Acushnet River from Union St in New Bedford on sunny days. Illustration from Propeller Shop booklet. 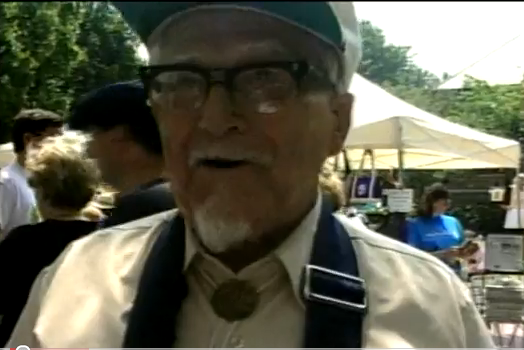 Warren Thompson's dad, M.D.Thompson of Maine was the inventor of the Thompson "feathering" Propeller. This remarkable invention allowed the prop blade to automatically change it's pitch when the thrust from the vessel's gears shifted from forward or to reverse. 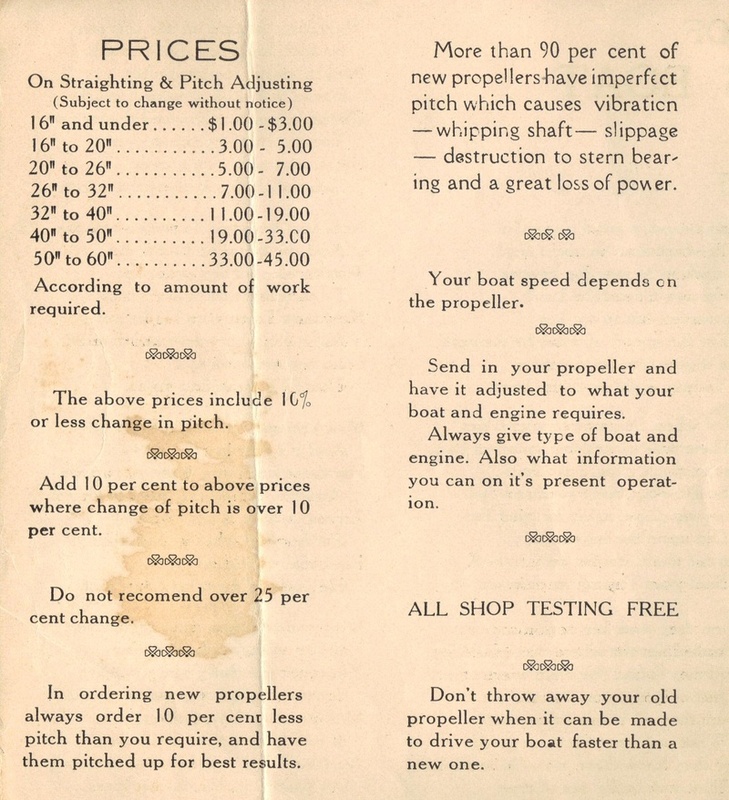 A price list above for the propeller shop's services. Pretty steep prices considering the minimum wage was about .20 cents an hour at the time. Mr Thompson chuckled in an interview I had with him in the 80's when he revealed that during the rum running days, it was not uncommon to have a Coast Guard Revenue Cutter's propellers being serviced side by side with the rum-runners boat's. He said the "boys" in the shop made the pitch of the runners props a little better for performance and speed.